Why settle for store bought Valentine's when Tech4Learning tools like Wixie, or Pixie, make it easy for students to create their own? When my son was still a toddler, I took way too many pictures. Since I also love to get creative with our tools, I began using Wixie to add captions to pictures I sent grandma. I progressed from there to combining parts of photos I had taken with backgrounds I designed with the Paint tools. In this Valentine, I added a picture to a blank page, glued it to the paint layer and removed the parts I didn't want with the Eraser Tool. Then, I selected this artwork on the paint layer and converted to a sticker. This made it easy to combine with other artwork and design my own backgrounds behind them. I got more sophisticated with my backgrounds and ideas as time went on. (I wish I had time now that Pinterest has made it so easy to find amazing ideas!) 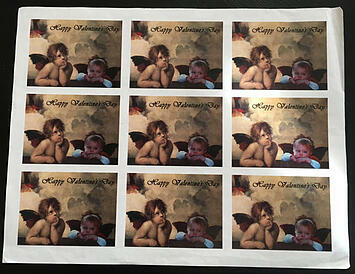 In this example, I followed the same process but combined his image with a painting of Raphael's angels. I got lucky with his pose, but you can ask students to position themselves when they take the picture. You can even take a picture against a "green screen" to make removing the background easy with the Magic Wand Selection tool. I also took advantage of Wixie's ability to print multiple images on the same page. I choose Trading Card format to print 9 copies on a page and have enough to easy distribute to his classmates in preschool. 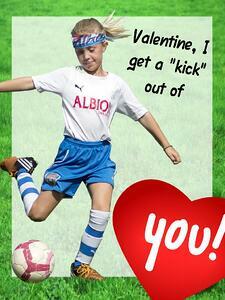 While the Valentine's I created were fun, they are no match for Valentine's created by students. By February, students know how to use the Wixie paint tools. 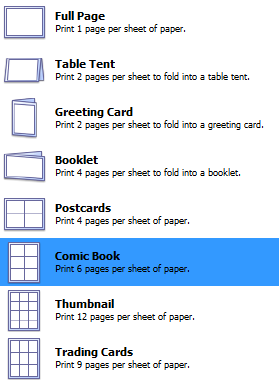 So rather than trying to gather and manage craft materials for 20+ students, provide them with a blank canvas in Wixie and ask them to design their own card. If you open a Wixie project and connect it to the Valentine's folder in the library (Wixie button>Project Information>Options>Stickers>Holiday>Valentines), then you can assign the "blank" page to your students and have it open up to the Valentine's folder of images. You can also use this same process to have the project open up to the Paint panel and create their own original designs, which are even more meaningful. Wixie and Pixie can print in a range of sizes and formats. If your students create a cover image on one page and then write text on a another page, print as a Greeting Card, then fold and share. The same is true for a four-page booklet, it just takes more time to create two more pages than the greeting card. But so much of the magic of of Wixie is in original student art combined with their voice, so while printing is great, consider an electronic card option so you can hear your students. To make it more than just a creative process and connect to literacy skills for your older elementary students, you can use I Love You, A Rebus Poem by Jean Marzollo. In this great children's book, the rhymes on each page connect backward. This is hard to describe, but you can see in the sample below this is a great literacy challenge and fun thinking project.